Void are one of those bands where I struggle to understand how they are not more greatly appreciated and known. Initially caught up in the 'avant-garde' movement of the Norwegian scene in the late 90’s and early 00’s, their debut album "Posthuman" was a phenomenal blend of off-kilter riffs perfectly melded with electronic influences, featuring esteemed vocalist Khvost, better known for his work with DHG and Code. Their next outing was not until 2011’s self-titled "Void", the music displayed therein displayed a more 'traditional' approach with the emphasis on the organic instruments, despite a more straightforward band approach, the music was anything but, Matt’s creative guitar riffs coupled with new vocalist Ben’s maniacal vocals created a vision of an inventive and ultra-aggressive brand of black metal. Then, silence… tragically their vocalist Ben took his own life and Void disappeared once again, until their promising return last year with EP "The Unsearchable Riches of Void", bolstered by the addition of vocalist Levi, the EP showed not only was their life left in the beast but it was as unique and progressive as ever. Upon hearing that the band was playing in my town, I cleared my schedule to see one of the UK’s most original and exciting bands play! Hosted at 'The Old England' pub in Bristol, a small venue with a stage so small it struggles to fit a full band onto it. Filling out the line-up were Human Mycosis (death metal from Cornwall) and Wolfbastard (black metal/crust from Manchester). Void opened the evening’s festivities with a committed and focused set, unfortunately, their bassist was unable to make the event, so one man down, they continued with Matt filling in on bass duties and new guitarist Elliott taking the lead on guitar. Perplexingly the amount of people watching the set was the lowest of the evening as the band hurtled through material mostly comprised of their most recent EP. The performance was a masterclass of talent; it’s one thing for a band to be able to gel well and have presence when performing, yet it is something else entirely when a band can play their recorded music live, as tightly as it sounds on the record, particularly when the music is as complex as Void’s. This is a band who take their craft seriously and although there were a few technical difficulties throughout the performance (broken strings, basses being unplugged and a noise gate accidentally cutting out the guitars for a while!) the exuberance and professionalism that was displayed was consummate, Levi endeavoured to keep the crowd engaged and despite these slight hiccups, nothing detracted from the performance. My only criticism of the band’s performance was the sound in the venue; due to it’s small cavernous nature, at times the complexities of the guitar riffs were swallowed by reverb and low frequencies — given the opportunity to play in a wider space with greater separation between the sounds, the full force of the guitars would surely be appreciated and discerned better, I only hope that this opportunity is afforded the band in the near future. The biggest disappointment of the night was the fact that Void were the opening act, this is not so to say that Human Mycosis or Wolfbastard played poorly but more an observation on the regrettable fact that the biggest draws for a metal crowd are those that rely on the bankable and safe options. I can’t help but feel that with the right line-up of bands that sit in a similar sphere, it would benefit the band’s reception with an audience, instead of a gig that is just a collection of assorted metal genres. Catching up with the band after the show they revealed that they are just about to start recording a new album which sounds like it will be the band’s opus, there will be a re-introduction of electronic elements as well as the incorporation of orchestral instruments; something that I’m anticipating highly. For those who are unaware of Void I can only say this: dig into their back catalogue. 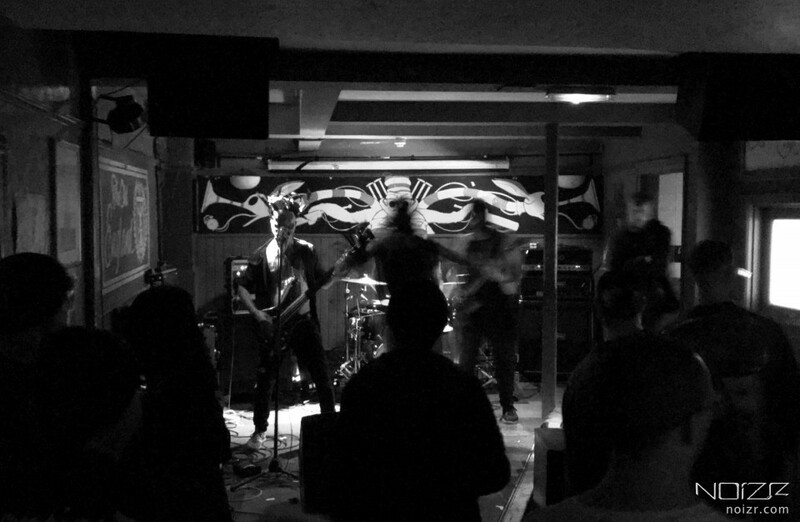 Void are a unique beast but if you are a fan of bands like DHG, Thorns, Aborym, Ved Buens Ende and Deathspell Omega, you should find something of great value within.